A good friend of mine recently alerted me to the fact that super 80’s aerobic sweatshirts are making their appearance at a retailer near you. This, my friends, means that one of the greatest decades (one of the top three since those are the only ones I have experienced) is making a comeback. More than one watch could make teaching Boogie how to tell time easier. 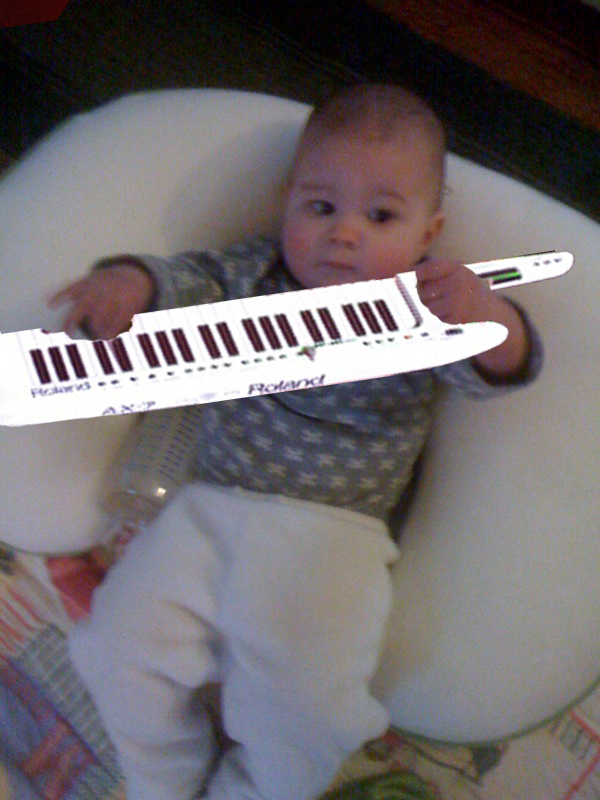 I have always imagined her as a keytar player, so talking her into learning could possibly be less of a challenge. I can’t get her to keep her socks on for anything, so with all those scrunched down layers at least when she pulls one off there is another to keep her foot warm. Well, at least until that one comes off.